DAVID LE/Staff photo. 2/27/15. 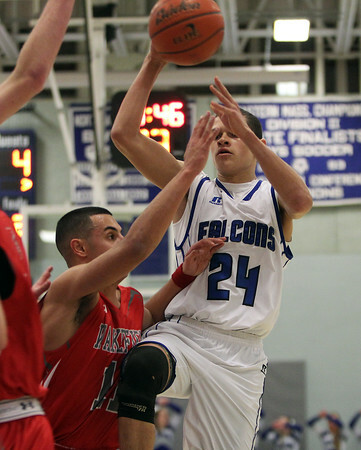 Danvers sophomore guard Devonn Allen (24) looks to make an airborne pass while being defended by Wakefield's Chris Calnan (11).